All the chimpanzees at Ol Pejeta have been rescued in East Africa from harrowing circumstances. 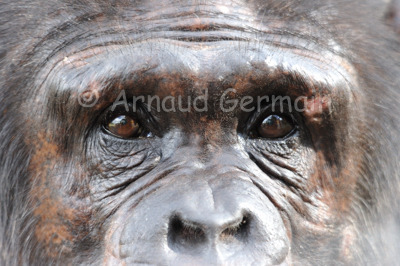 Judy is a gentle female who gave birth to Oscar, the now dominant male of the troop. I tried to get her look on the pictures as the eyes of the chimps are so human like.